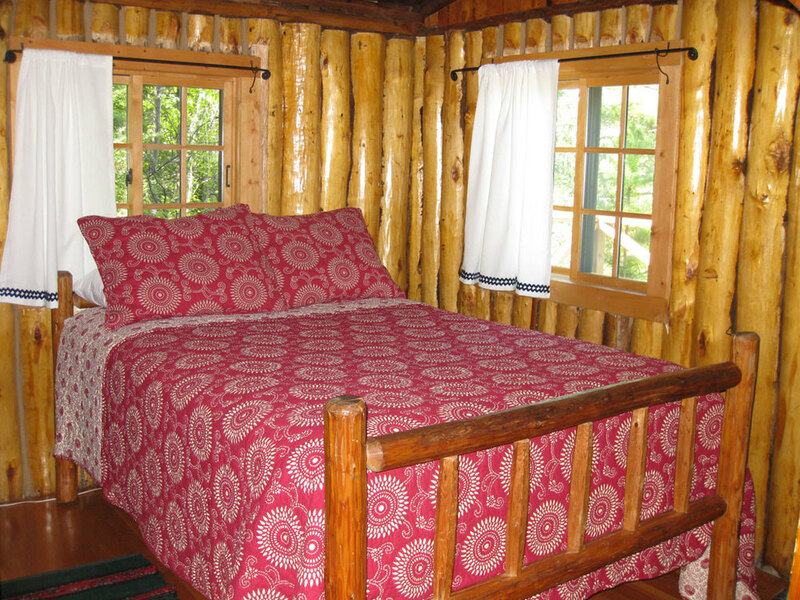 You will feel like you have stepped back in time when you enter this two bedroom log cabin that originally constructed in the teens or early 1920's. Although it requires a ‘walk up the hill and through the woods’ you will find privacy and beautiful views of the lake (only 70' from the water via the bluff). You first enter a room that was originally a porch that is now the kitchen and dining area. 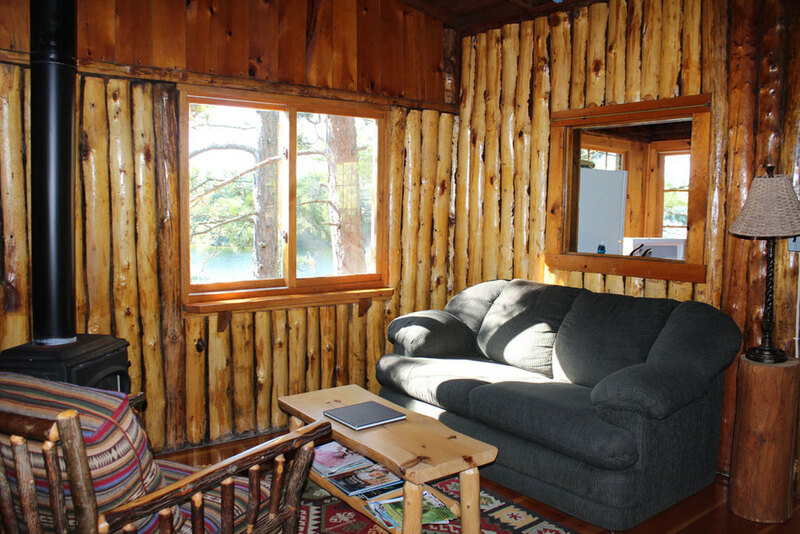 The many windows in this room offer great views of the lake (especially the sunrise). The kitchen offers a full size refrigerator with freezer, range top stove with oven, microwave and is equipped with basic dishes, coffeemaker, toaster, wine glasses and utensils for four guests. The next room is a comfortable living room with a sofa and occasional seating, a freestanding gas stove provides the ambiance of a fireplace and nice heat to take the chill out of the air on cool days. A charcoal barbecue is located outside the cabin. There are two bedrooms, one with a double bed and a second with two singles. The bathroom has a large walk-in tile shower. The deck that is located on the west side of the cabin is a favorite spot for morning coffee and views of the evening sunset. 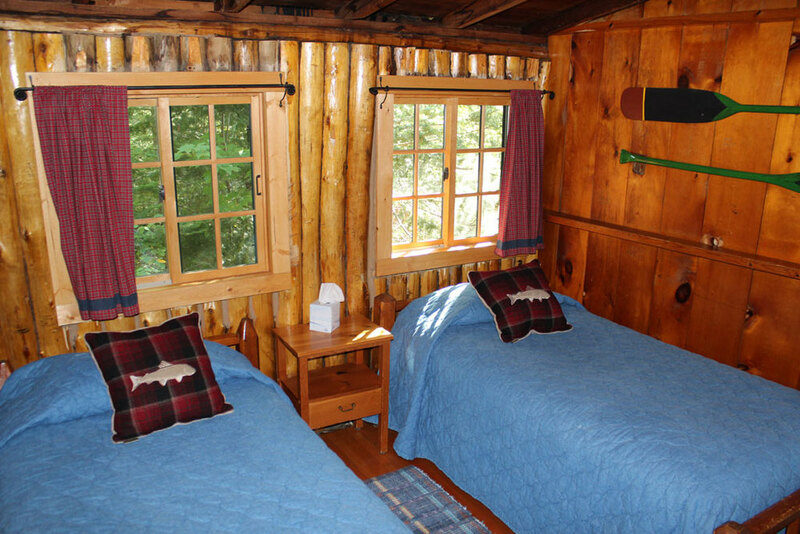 This cabin has been nicknamed the treehouse cabin and is a favorite of guests who wish privacy and don’t mind the exercise this location requires. Parking for your car is a short woodland path away. The 2019 rate is $ 2 334.00 per week, or $ 367.00 per day.